Rented 11/1/18 - 5/15/19. NOT AVAILABLE FOR RENT AFTER MAY 2019. Seasonal/Short Term Rental available throughout the year. Posted rate is winter/peak season rate. Off-season rate is $1,500/month, and $700/week. 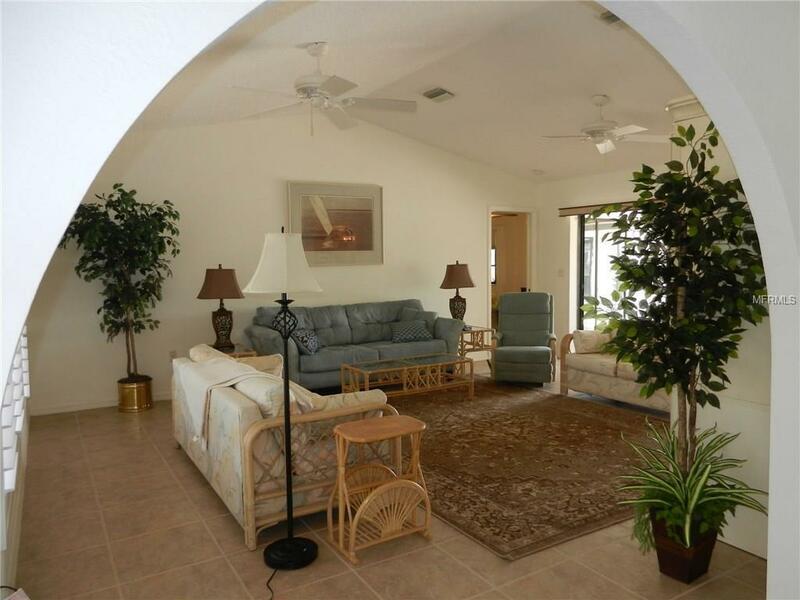 Stunning water views...tranquil mornings and relaxing evenings on the lanai...spacious rooms for entertaining and comfort... all with just a hint of "Spanish" influence (notice the arched doorways and beautiful blue tile floor in the main bathroom)... 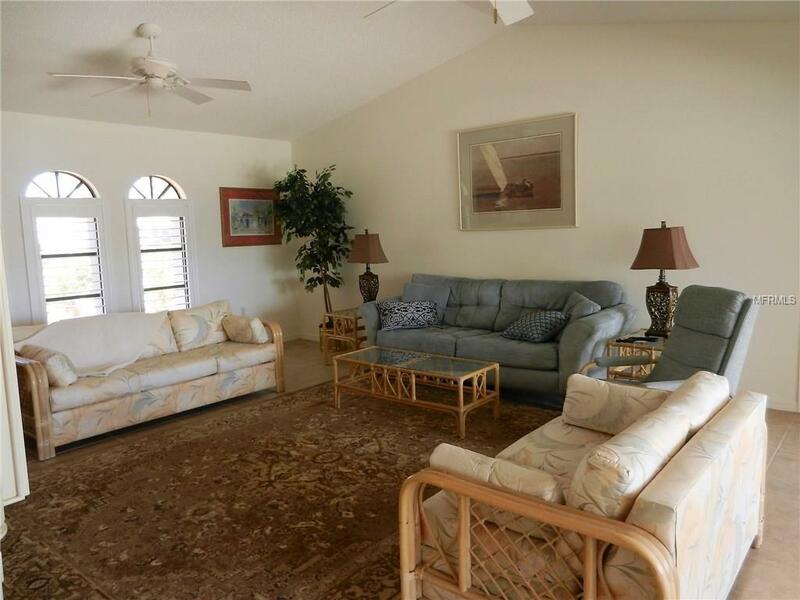 This is what you'll find in this 3 bedroom, 2 bathroom home in the waterfront community of Gulf Cove. 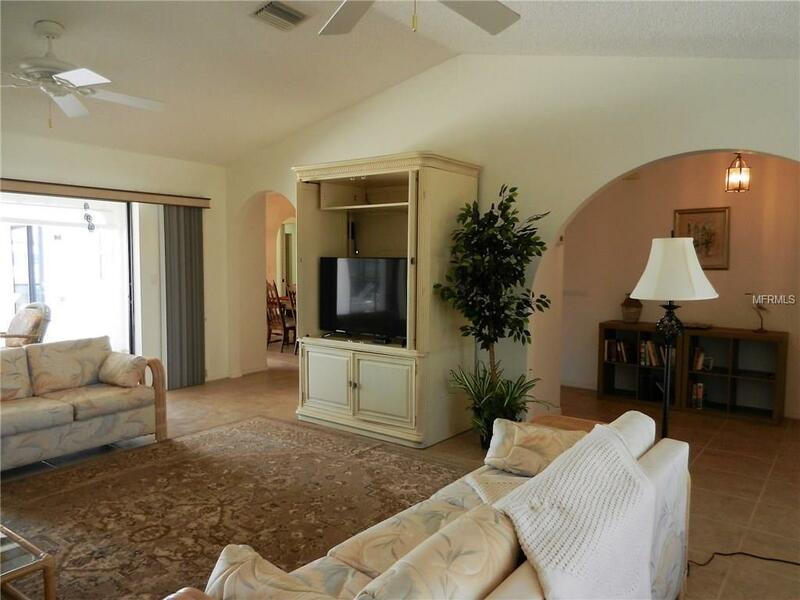 Situated on the canal, just a minutes boat ride to the Myakka River, the roomy kitchen is perfect for entertaining with lots of counter space. The master suite has a queen bed, a flat panel TV, and a large walk-in shower. The second bedroom has a full bed, and the 3 bedroom is set up as a den with queen pull-out sofabed. The main bathroom has a tub/shower combo. The living room also has a queen size pull-out sofabed, allowing for 8 to sleep comfortably in the home. The boat lift is available for use at an additional cost, and per owner, will fit up to a 20' boat, weighing up to 7,000lbs. A pontoon boat can be easily tied alongside the seawall. There are plastic pipes that prevent the boat from rubbing on cement, and two stainless steel tie-off clips. 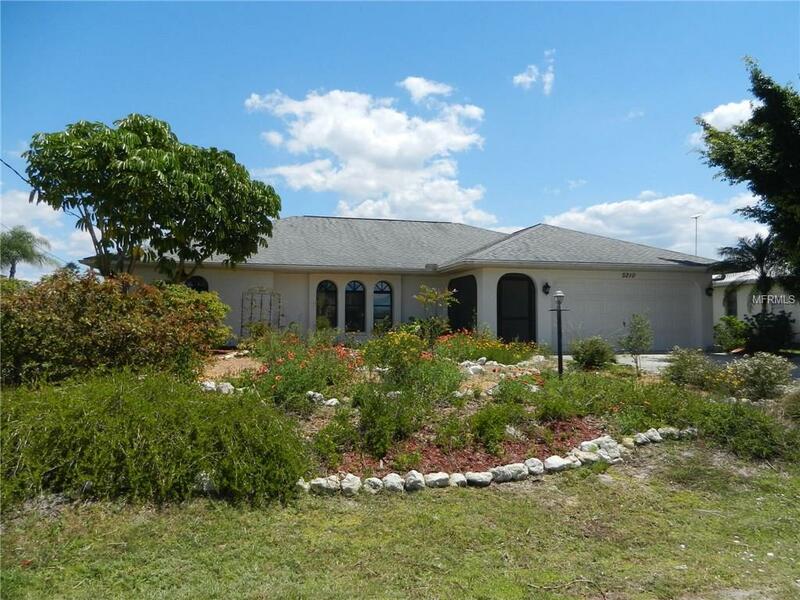 Englewood Beach is a short drive away, as well as many area restaurants, stores, numerous golf courses and great fishing. Wi-Fi internet included. Pet Restrictions Up To 2 Small (25Lb Or Less) Non-Shedding Dogs Only No Cats. Non-Refundable Pet Fee is Per Dog.